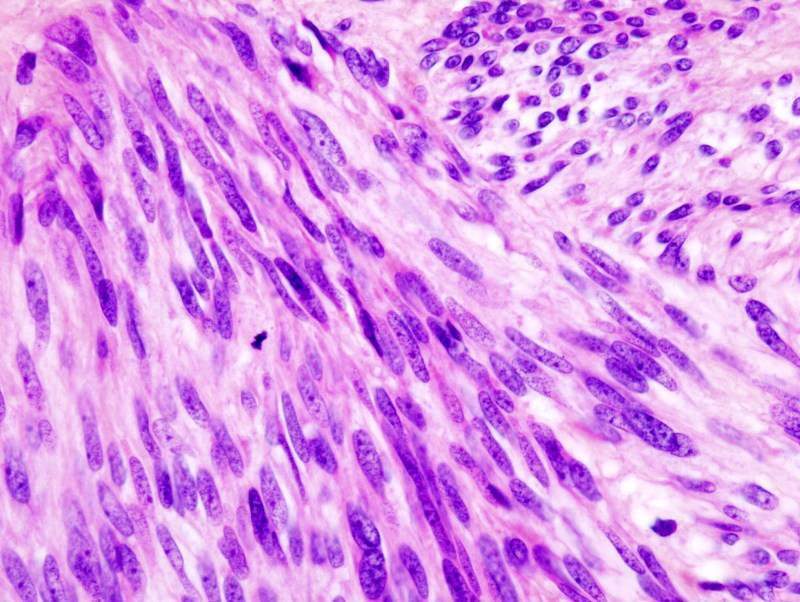 Histopathologic image of gastrointestinal stromal tumour of the stomach. Credit: KGH. 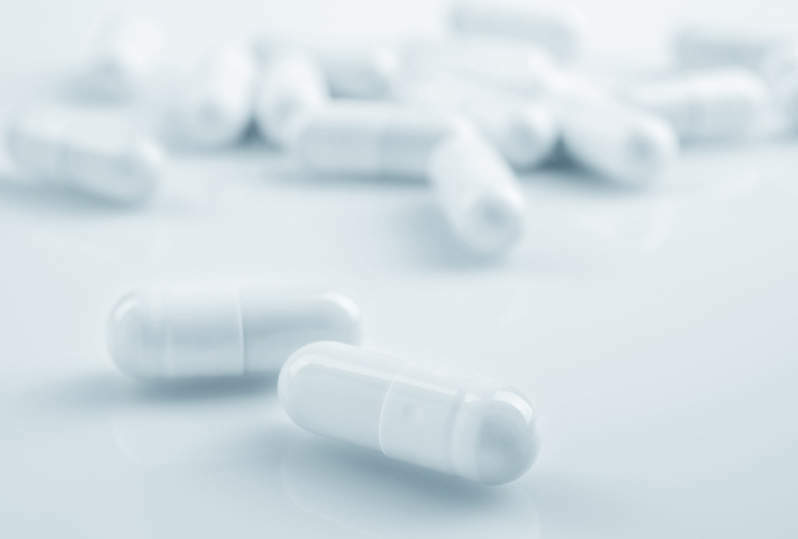 Deciphera Pharmaceuticals has completed enrolment in the Phase III INVICTUS clinical trial to examine the safety, tolerability and efficacy of DCC-2618 to treat patients with fourth-line and fourth-line-plus gastrointestinal stromal tumour (GIST). Deciphera aims to evaluate DCC-2618 in comparison with placebo as part of the study. The multi-centre trial is expected to enrol 120 advanced GIST patients who were previously treated with imatinib, sunitinib, and regorafenib. Patients will be randomised in 2:1 ratio to receive a once-daily dose of either 150mg DCC-2618 or placebo. Primary efficacy endpoint of the trial is median progression-free survival (PFS), as measured by independent radiologic review using modified Response Evaluation Criteria in Solid Tumours (RECIST). Its secondary objectives include objective response rate (ORR), time to tumour progression (TTP), and overall survival (OS), all of which will be determined by independent radiologic review using modified RECIST. Deciphera Pharmaceuticals president and CEO Michael Taylor said: “We expect to report top-line data from this randomised, double-blind study in mid-2019 and, if successful, we believe the results would support a new drug application (NDA) for full approval in fourth-line and fourth-line-plus GIST patients. “Currently there are no treatments approved for fourth-line and fourth-line-plus GIST and we are grateful to those patients who participated in our study and to the GIST community for its support. DCC-2618 is a KIT and PDGFRα inhibitor currently being investigated by Deciphera as a potential treatment for KIT and / or PDGFRα-driven cancers, including GIST and systemic mastocytosis (SM).n a subset of GIST.